For the first time, the age of artifacts from the Neolithic era-recovered from two important sites in Northeast India-has been unraveled. Indian scientists have found the age using the latest technique of optically stimulated luminescence dating. “It is now confirmed that the corded pottery and polished stone tools which were recovered during excavations in Daojali Hading in Dima Haso district of Assam in 1961 are 2,700 years-old and those recovered from Gawak Abri in Garo Hills of Meghalayain 1999 are 2,300 years old,” said Dr Sukanya Sharma of the Indian Institute Of Technology (IIT), Guwahati. She and her colleague, Pankaj Singh had conducted the study. The study was conducted on an experimental basis using a new technique of optically simulated luminescence dating. The age of the sites were found to be well-matched with the radio-carbon dates from other Neolithic sites of the region. 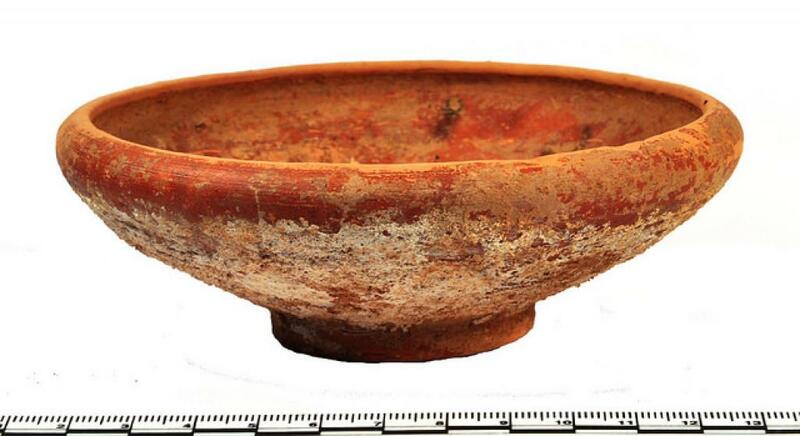 The excavation site at Daojali Hading occupies an important place in the archaeological history of India as the first evidence of an Eastern Asiatic Neolithic complex of double-shouldered Celts and cord-marked pottery in India was reported from there. The discovery had put Northeast India on the Neolithic map of the world for the first time. However, the precise age of the artifacts were not known. Antiquity of the site was hypothetically stated to be of the `late Neolithic phase’. Now with the dating of the artifacts, this hypothesis has been proved and its antiquity has been established. The dating of the Gawak Abri site in Garo Hills is also significant as Garo Hills has the highest density of prehistoric sites in Northeast India. With the new finding of the age of the two sites, it is confirmed that human beings, with the capacity to make pottery and polished stone tools were present in the Northeast India over 2,000 years ago. The researchers have published their study in the latest issue of Current Science. A less verbose and precise rewriting of this article follows. It saves paper, ink, weight, fuel, energy on part of Down To Earth, and the effort and strain on part of its readers and activists. The age of Neolithic artifacts from two sites in Northeast India has been determined using Optically Stimulated Luminescence Dating, by Dr Sukanya Sharma and Pankaj Singh of the IIT, Guwahati. Corded pottery and polished stone tools, excavated in Daojali Hading, Dima Haso district, Assam are c.2,700 years-old. The 1999 finds from Gawak Abri, Garo Hills, Meghalaya are 2,300 years old. The age concurs with the radio-carbon dates of the region's Neolithic sites. Daojali Hading is the first evidence of an Eastern Asiatic Late Neolithic complex in India. Garo Hills has the highest density of prehistoric sites in Northeast India. The sites' age, confirms the presence of humans, capable of making pottery and polished stone tools, in Northeast India over 2,000 years ago.